Hasan bin Sabbah is one of those few great leaders, who are very rarely born in the world. By virtue of his exemplary character, he could establish the Ismaili state amidst the teeth of very bitterest opposition and harsh theological storms. He was a great military leader, organizer and a devoted missionary. He had a rare ability to keep his mind fixed steadily on the distance horizon, and at the same time concentrated his whole effort on what was practically possible. In chastity and integrity, Hasan bin Sabbah was as firm as a mountain. He had a penetrating and analytical mind. Force of character, prodigious capacity for hard work and concentrated effort and firm and patient adherence to the religion distinguished him from his contemporaries. When he decided to accomplish something, he seldom gave up its pursuit and waited patiently, perhaps for years. Hasan bin Sabbah was ambitious, but it was not personal ambition. He fought for his faith not for own sake. In his administrative framework, he was seen a creative, bold, courageous and of strong nerves. Dr. Farhad Daftary writes in "The Ismailis, their History and Doctrines" (London, 1990, pp. 366-7) that: "Hasan-i Sabbah was indeed a remarkable man. An organizer and a political strategist of unrivalled capability, he was at the same time a thinker and writer who led an ascetic life. Several examples of his asceticism and harshness have been cited by our Persian historians. He was evidently equally strict with friend and foe, and highly uncompromising in his austere and Islamic life style which he imposed on the Nizari community, especially in Rudhbar. In particular, he insisted on the observance of the Islamic religious duty of amr bil ma'ruf va nahy az munkar(commanding the good and prohibiting the evil). During all the years spent at Alamut, Hasan evidently never descended from the castle, and he is said to have left his living quarter only twice to mount the roof-top. During that period, nobody drank wine openly in Alamut, and the playing of musical instruments was also forbidden. Hasan sent his wife and daughters to Girdkuh where they earned a simple life by spinning, never having them returned to Alamut. He also had both his sons, Ustad Husayn and Muhammad, executed. Muhammad's guilt was wine-drinking, while Ustad Husayn had been suspected of complicity in the murder of the dai Husayn Qaini in Quhistan."
. "The use of wine was strickly forbidden to the Ismailis," writes John Malcolm in "The History of Persia" (London, 1815, 1st vol., p. 401)) "and they were enjoyed the most temperate and abstenious habits." Sayed Amir Ali also writes in "The Spirit of Islam" (London, 1955, p. 340) that, "Hasan bin Sabbah himself was a strict observer of all the precepts of religion, and would not allow drunkeness or dancing or music within the circuit of his rule." According to "Jamiut Tawarikh" (p.134), "The rest of the time until his death, Hasan bin Sabbah passed inside the house, where he lived; he was occupied with reading books, committing the words of dawa to writing, and administrating the affairs of his realm, and he lived an ascetic, abstemious and pious life." Hasan bin Sabbah took up his residence in the tower of Alamut. His quarters were a bedroom and library. It is said that only two times during his residence did he find time to emerge from his modest lodgings into the open air. Yet it was here, in his modest quarters that he supervised the stern training of his ardent young fidais. Coarsely attired, consuming simple fare, abjuring wine under penalty of death, devoting their lives to the acquisition of the physical and intellectual skills needed for the accomplishment of their missions, these fidais were intensely loyal to him. Hasan bin Sabbah fell ill in the month of Rabi II, 518/May, 1124. When he felt that the shadows of death were closing upon him, he summoned his lieutenant at Lamasar, Kiya Buzrug Ummid, and designated him as the next ruler of the Nizari Ismaili State. He also appointed three seniors for assisting Kiya Buzrug until such time as the Imam himself came to head his realm. These advisors were Didar Abu Ali Ardistani, Hasan Adam Qasrani and Kiya Ba Jafar (d. 519/1125). 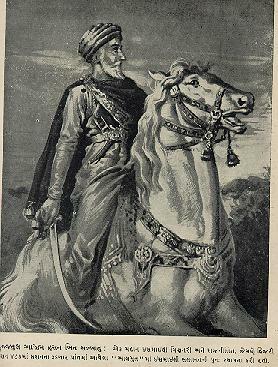 Hasan bin Sabbah died towards the end of Rabi II, 518/middle of June, 1124 at the age of 90 years, and ruled the Alamut and other fortresses for 35 years.